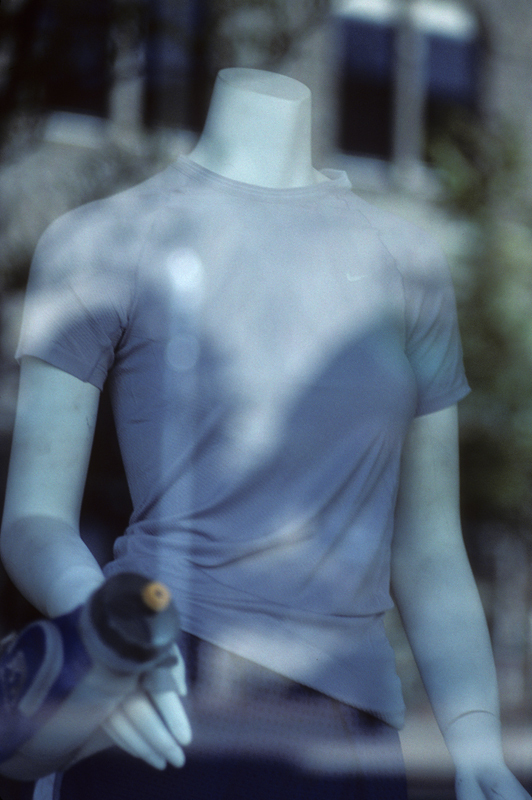 Display in the window of a retail store specializing in running gear in downtown Boise, Idaho. Marathon was posted on Tuesday, February 3rd, 2015 at night by Olen Daelhousen, who photographed it using a Fujica AX-5 loaded with Kodak Kodachrome 64. The image is filed under: Uncategorized.